Come on down (or up!) 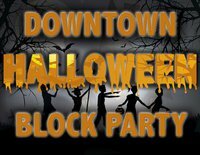 to Bangor, ME on Saturday, Oct 30th for the first annual Downtown Halloween Block Party! This rockin' day long celebration features live music, spooky films, and a giant Outdoor Market featuring Maine-made food, art, crafts and of course, lots of treats! Fun for the whole family including kid-friendly events at the Maine Discovery Museum , costume contests, a parade, films at The Penobscot Theater, and so much more! Downtown shops, pubs and restaurants get in on the action with spooky sales, specials and trick-or-treating too! And yours truly will be at the Outdoor Market map with lots of her recycled creations (some of witch - oops! - which would make great treat bags)! So I had the classic "being chased by a bear" dream last night. 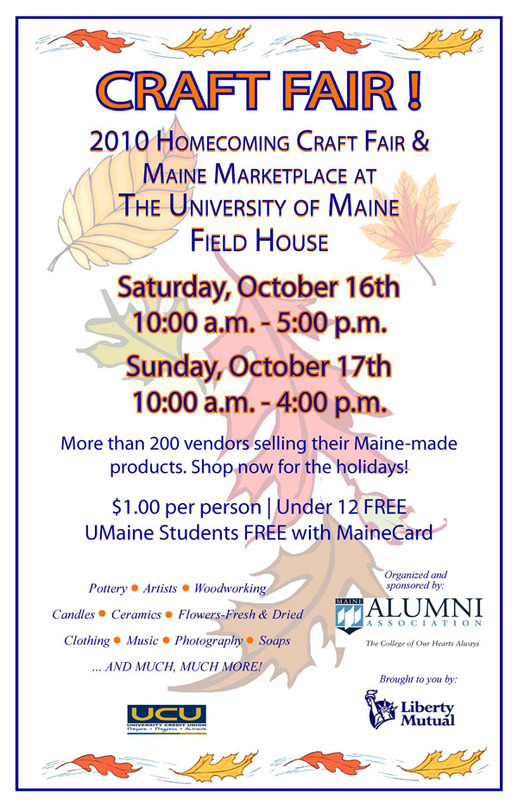 Surely there must be some Freudian explanation for this, but I just chock it up to my excitement about my upcoming gig at the University of Maine Homecoming Craft Fair and Marketplace. Kicking (pun intended) the homecoming weekend off at noon on Saturday, Oct 16th is a football game - UM Black Bears vs. Villanova. Tailgate partying, class reunions, and general mayhem will be taking place all weekend. 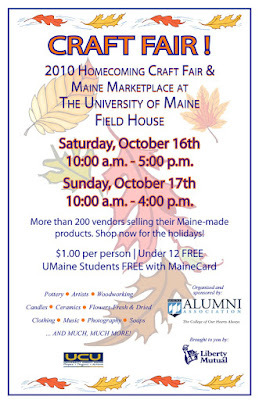 The gigantic craft fair and marketplace rocks the Field House on Saturday and Sunday. Doors open at 10am both days. 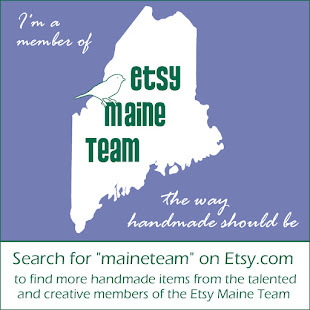 Julia is a self taught sewist & maker who has always worked with found/upcycled/recycled materials, first out of necessity (cheap/free materials! ), now out of a sense of environmental awareness and the creative challenge & inspiration of working with an ever-changing selection of materials.